The international Governors of the Hillary Institute of International Leadership are delighted to announce that the global Hillary Laureate for 2018 has been chosen. 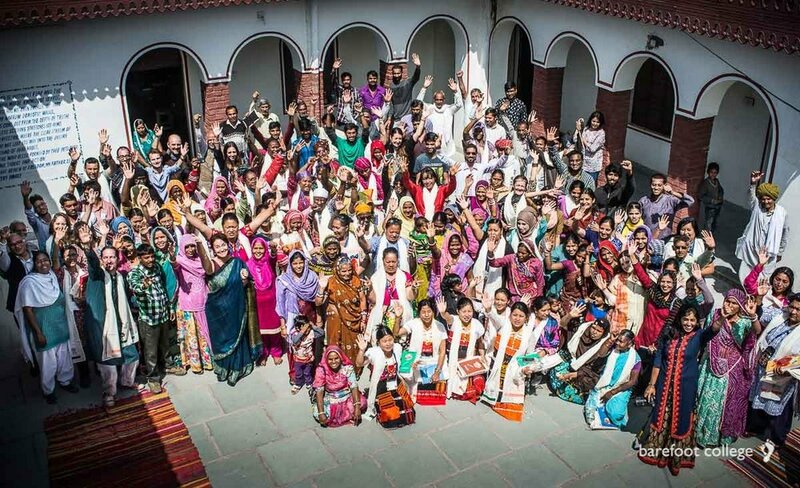 Barefoot College International (India) CEO Meagan Fallone was selected from a global shortlist of remarkable candidates demonstrating extraordinary mid-career leadership. She is the 9th annual Hillary Laureate since 2009. NB: Listen Radio NZ , "Sunday Morning" with Wallace Chapman, July 22nd. Megan describes the simplicity of her daily life. Meagan talks about her work with Barefoot College. Meagan discusses technology for women in the developing world. "I could not be more honored to join this distinguished and visionary group of Laureates. I am enormously grateful for the tremendous recognition it also carries, for my truly exceptional ‘Barefoot College family’, whose innovative work and dedication have enabled us to make a difference to so many. I believe deeply in the power of transformational leadership, that the time has come to embrace an “Agitate, Innovate and Orchestrate” approach towards social change in order to create a more equal and just world. In light of my New Zealand heritage, which dates back five generations, I could not be more touched and grateful to be recognized as the 2018 Hillary Laureate." The first New Zealand born Hillary Laureate; the first mountaineer; the first grass roots practitioner - her work rooted in the kinds of communities and the model Sir Edmund Hillary championed with passion during his lifetime. The first to lead a truly hybrid social enterprise and to work at the intersection of technology in the hands of illiterate and semi-literate women… and (akin to Sir Ed himself), the first “Beekeeper”, who has together with her team, launched a bi-continental set of Honey enterprises in India and Africa through which rural women beneficiaries are creating wealth for themselves and the environment. The 2018 Hillary Laureate is Barefoot College International Chief Executive, Meagan Fallone. Ms Fallone is the 9th Annual Hillary Laureate chosen and celebrated by the Institute’s international board of Governors from a short-list of candidates demonstrating extraordinary leadership in mid-career around the world. She joins a distinguished alumni including: her immediate predecessor, Sweden’s Johan Rockström; the UK’s Jeremy Leggett (2009) and Tim Jackson (2016); China’s Peggy Liu (2010); former Kiribati President Anote Tong (2012); Amazon Watch Founder Atossa Soltani (2013) and from the US, Michael Brune (2015) and Aimee Christensen (2011). All share a profound commitment to and focus on, existential issues, in particular Climate Change, Social Justice and disruptive economic transition. 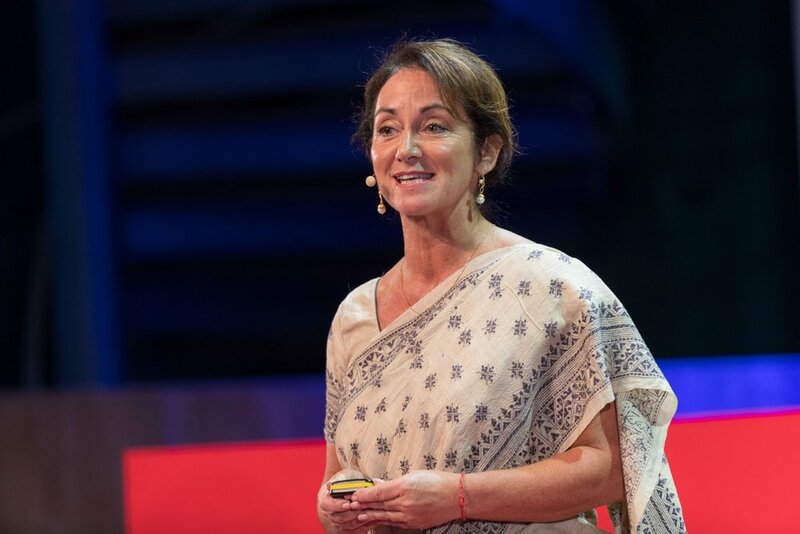 Born in Aotearoa New Zealand, Ms Fallone attributes her most valuable education to having come from living amongst the simple rural community of Tilonia in Rajasthan India, where Barefoot College is based. Most recently, she has returned from the Harvard Kennedy School and an in depth exploration of Leadership for Systems Change at Scale, alongside her fellow Schwab Foundation Social Entrepreneur colleagues. Educated in the USA and UK, she holds a BFA, an MA and an MBA. In her current role, since joining Barefoot Founder Bunker Roy in 2011, she is steering the establishment of a further seven Barefoot Women’s Vocational Training Centers throughout Sub Saharan Africa, Latin America and the Pacific, focusing on the mastery of renewable energy technology, enterprise and holistic empowerment skills for illiterate and semi-literate women living on less than $2 a day. She has tripled the size of the Barefoot College footprint beyond its foundation in Rajasthan and developed a sustainability movement led by rural women across the Global South, identifying India as a leader in localizing the Sustainable Development Goals through grassroots women. Guiding field operations in 96 countries, she and her team have set an example of positive impact through ground breaking partnerships with Governments, Corporations and a network of Civil Society and Multilateral organizations. A dedicated entrepreneur, Ms Fallone has led the evolution of Barefoot College into a profitable hybrid social enterprise which today fosters and supports a host of rural innovation, digital and financial technology, Solar R&D and rural enterprises by attracting formally educated young people to work side by side with non-formally educated rural innovators. Her work has touched the lives of more than 500,000 people. A strong commitment redefining education in the rural context, and a belief in communities developing their own capacity to meet their own challenges within the developing world, is at the heart of every Barefoot Solution. The Hillary Institute of International Leadership warmly congratulates Ms Fallone on joining her Laureate colleagues in Sir Edmund’s Leadership legacy. Her Laureate Award was conferred with her home community in Tilonia, Rajasthan (see http://bit.ly/BarefootGuest_RSVP ) in September and she visited New Zealand late October, guesting at the EHF New Frontiers Festival (Wellington), and closing with a formal dinner in her honour in her birthplace of Christchurch.